Goa Carnival - 365 Festivals :: Everyday is a Festival! Goa and Goans are famous for they're easy to go and cheerful lifestyle. But there is something in addition to this which showcase the colorful and joyous side of Goan culture. And it is the Goa Carnival. Well, you must have been to some carnival or at least must seek its picture. Goa Carnival is somewhat close to it. However, if we compare it to the Carnivals in another part of the world, it appears to be a bit smaller organization. But not to forget a carnival sums up a lot of fun and amusement in it. For some more details about the Goa Carnival lets peek into it. The Goa Carnival receives a unique spot among the festivals celebrated in the nation. Since the nation does, not observes any carnivals which makes Goa even more attraction spot during its observance. Moreover, its celebration took place annually in February. The excitement of Goans at its arrival is quite visible during celebration which goes for four days. Another name for this festival is Carnaval or Carnival. Moreover, the celebration holds a place not in the country only but the continent also. The historical facts related to this event will leave you speechless. The fest originated not ten years back or twenty years back or hundred years back but 500 years back. That is, this fest originated in the 18th century by the Goan people. Later with the end of Portuguese rule in 1960, the festival got more promoted. At the time of Portuguese rule, the celebration has a different outlook. It was a lot more boisterous and loud event. For that matter, it includes flinging things over each other such as eggs, muds, tomatoes and other waste products. After 1960, it becomes more graceful and refined. Besides this The Goa carnival associates with the budding love interest. For those who had this romantic love feeling for someone, the carnival gives them a chance to express it. It’s a part of Gonanes traditions. Due to this tradition, many new relationships started off during this carnival. The zeal of the public at the carnival is at the peak. The preparation regarding the performance at the fest began, in December itself. Moreover, the participants play a prank during the rehearsal of the fest named 'Assoltes'. The celebration could not kick off until the orders of King Momo. King Momo was the ruler of Goa at the time of fest inception. To honor him every year the carnival began with his orders. Furthermore, the parade was no doubt the center of attraction here. In the parade, colorfully decked floats along with the dancing crew and uniquely dressed revelers steal the thunder. Along with these, there are many other fun-filled competitions goes along with it. These competitions mostly include sports and music. What do people do on Goa Carnival? 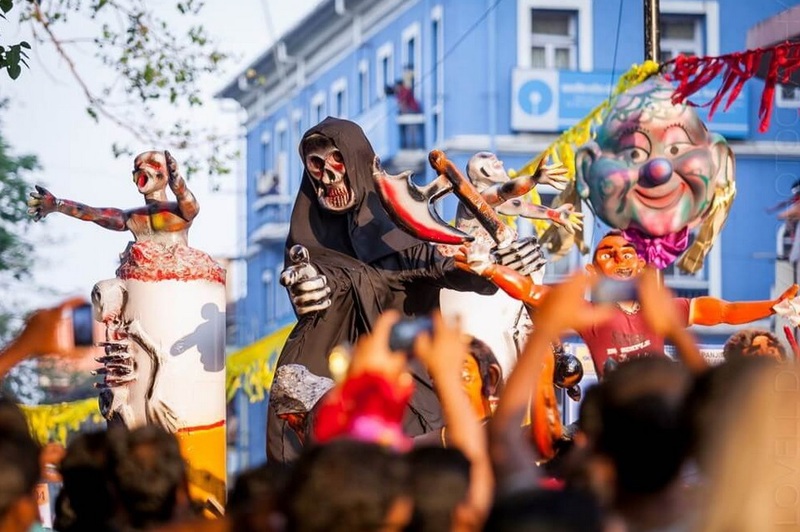 This year the Goa Carnival will take place between 10 to 13th of Feb. The celebration will take place in many other cities of Goa like Panjim, Curchorem, Margao, Vasco, Ponda, Morjim and Mapusa. Undoubtedly it is the best part of the entire year to visit this place. So, don’t miss to make the most of this time and book your tickets early.